Thousands of crosses are being demolished and Christians are mobilizing to save them– following Beijing’s orders to tear down crosses in eastern China. Over 1,000 crosses have been demolished by communist government thugs in eastern China. The faithful are desperately trying to save them or rebuild them. Pastors and clergy are being detained and imprisoned. Zhejiang, a coastal province in eastern China appears to be the center of this crackdown– but we all know that this will continue to spread. Religion in China is closely watched and controlled by the communist government in Beijing. One can only assume that these churches in eastern China are government-approved. 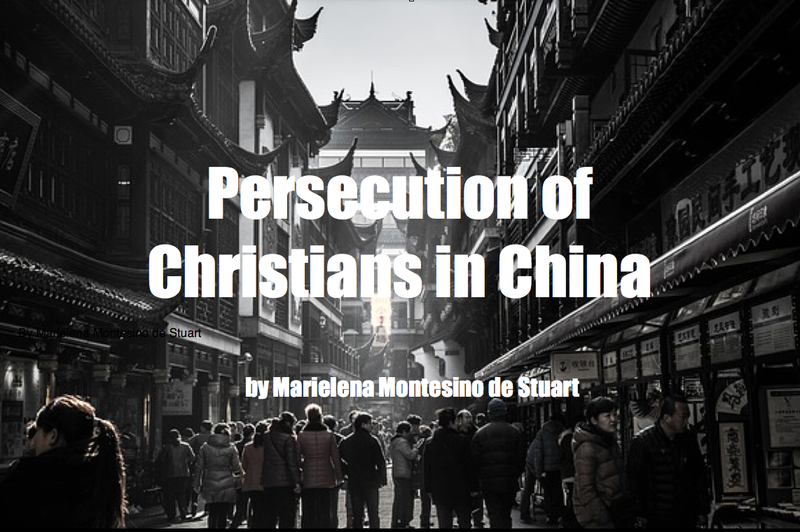 It is evident that Xi Jinping, China’s president, has decided that even with his grip on government-approved churches– they are growing too much and are becoming a threat to the communist tyrants in Beijing. My readers need to stay focused on an important issue: China is a blood bath of forced abortions, human organ trafficking (fetal and adult), torture, imprisonment, executions, religious persecution– and every abominable act known to man. Why then was China granted the status of “most favored nation” (MFN)– also known as “permanent normal trade relations” (NTR) status– as noted on the website of the U.S. International Trade Commission? Why, ask yourselves, are we doing business with the Devil? The same goes for all rogue nations that appear on this list. Why, ask yourselves, are we courting Chinese investors on our own soil? Do you want to see who is involved? Well, then click HERE and HERE.